When we strike nature, nature hits back, and man is powerless to resist the ways, power and processes of the Mother Nature! As the green house effect pervades the atmosphere of the earth, it has contributed more to the already-existing pollution crisis. As the hole in the ozone layer is getting bigger and bigger, more and more amount of sunrays is directly hitting the surface of the earth and affecting all its humans, animals and all the greens. Sunbath is no more recommended by environmentalists, health enthusiasts and scientists for the present-day ill-effects of the rays of the sun. In fact, it is highly recommended these days to try as hard as possible to stay away from the direct solar rays. This is not just for grave reasons like skin cancer or other diseases, but also for simple reasons like skin-tanning and other dermatological anomalies. Like we all are aware, sunscreen lotion acts best to guard the bad effects of sunlight and its UV rays. However, the question is, how effective these sunscreen lotions truly are, that are available in the modern day market and you are using. Are you sure, the chemical content and the reagents present in the sunscreen or sunblock lotion are not actually affecting the health of your skin in the name of protecting you against the evil effects of sunrays? 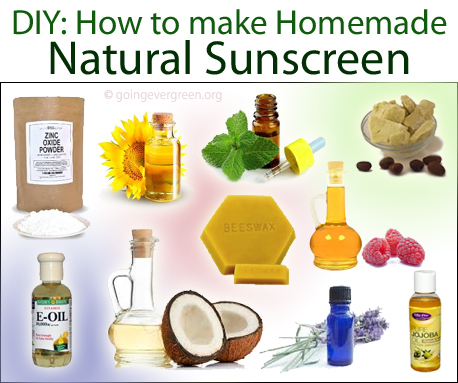 Like we always defended the homemade, natural ways, in this connection, we would also like to evoke your consciousness once again to go green by making your own sunscreen at home, and shield yourself from the ill effects of the sunbeam. When nature creates a crisis, nature itself has its remedies. Here we share with you about the natural ways of making your own sunscreen, that too, with very less effort, but in a cost-effective way. Place all the ingredients together, except ZnO, in a big jar and mix well. Take a saucepan and fill it with water so that the water stands no more than 2 inches and put it on medium heat. 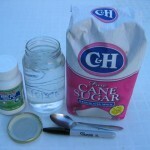 Now, cover the mouth of the jar with a loose lid and make the jar stand in the heated water. In no time, the heat of the water will start melting the contents of the jar. Keep shaking the content from time to time to ensure a through mixing. As the ingredients in the jar melt completely, pour in the ZnO and keep stirring well. Later, pour the mixture in a container of your choice. This lotion would last for 6 months. 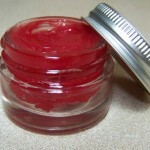 You are free to add more beeswax to the mixture if you want to make a thicker sunscreen. Add less for a smoother sunscreen. Add the above ingredients together in a container and mix well. 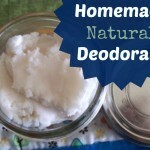 Your homemade sunscreen lotion is ready to use! Coconut oil – 1 oz. Sunflower oil, sesame oil or, jojoba oil – 1 oz. Vitamin E oil – 1 oz. Pour shea butter, jojoba/sesame/sunflower oil, coconut oil to a double boiler. Heat until the butter melts. Remove then after, and allow it to cool down to room temperature. To the other ingredients, add ZnO, Vitamin E oil and the essential oils (optional). Mix well and store inside your refrigerator in a dark-color jar. You can use this frequently, especially when you are going out for swimming or if you are sweating. Take the cup of olive oil and heat it over a low flame. Break the beeswax into pieces (to allow a faster melting) and add it to the hot olive oil (however, if grated, it would melt even faster. Beeswax beads would also work well). Keep stirring until it completely melts in the oil. Separate 1-2 tablespoons of USP grade zinc oxide powder (while wearing gloves and mask to avoid direct contact with the powder) and start adding this to the above mixture, a little at a time. Keep stirring continuously until you are sure that the whole mixture has almost been homogenous. Take away the mixture from the flame and collect it in a ceramic or glass pot which has a lid. Let it settle to room temperature before you use it. You can store this mixture in a cool, dry place (like your refrigerator). You can also replace zinc oxide with titanium oxide. Mix the first three ingredients together and bring them to a boil, until they melt together. Remove from heat and start mixing the zinc oxide wearing a mask. Now pour this into moulds and let cool completely. Remove this from mold and keep this inside your fridge until you use it.